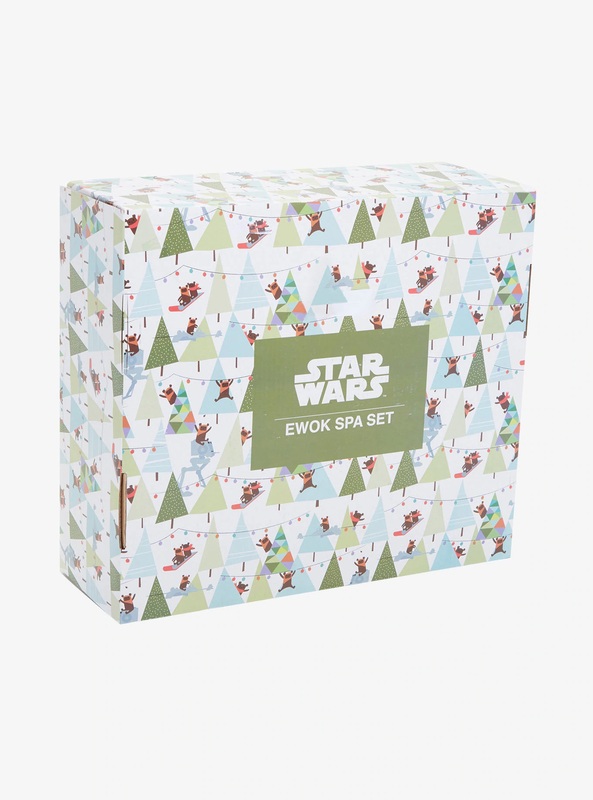 This fun Star Wars Ewok spa robe gift set is available exclusively at Box Lunch. 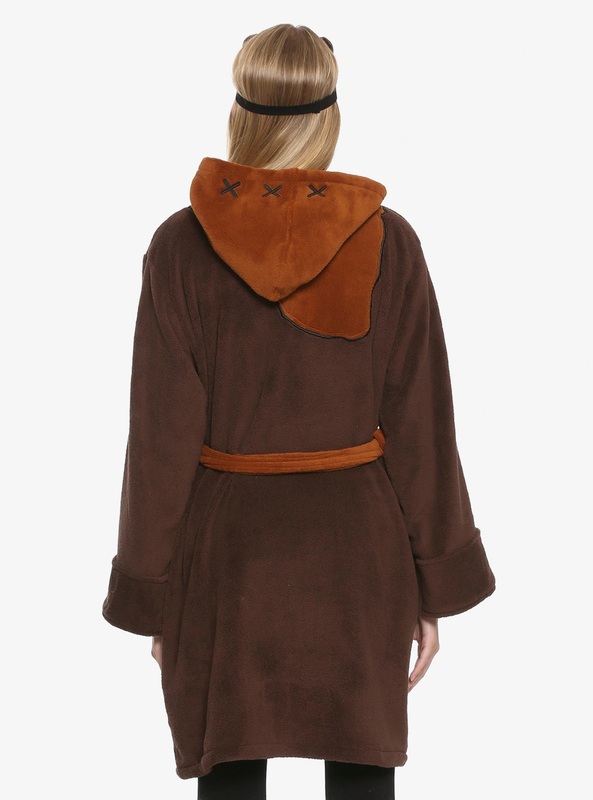 The set contains a spa robe, sleep mask, and slippers – all with a cute fluffy ewok theme! 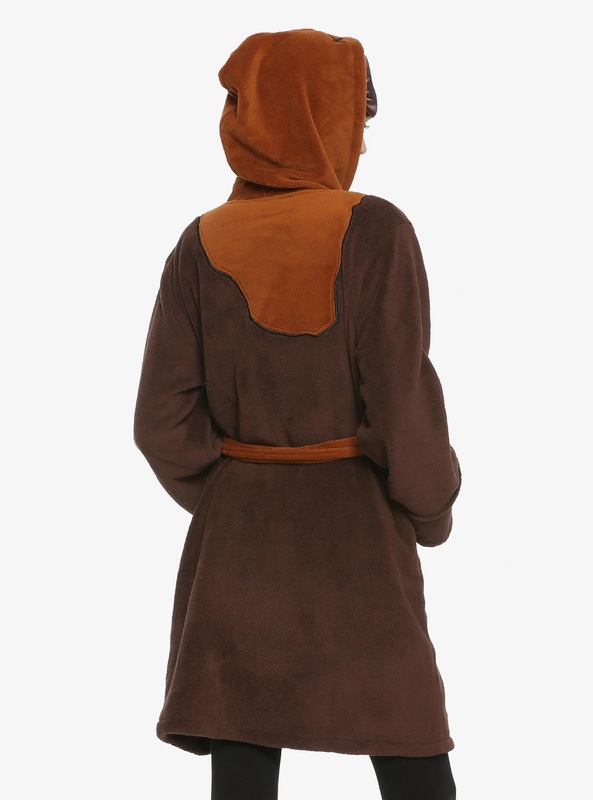 The robe has an ‘everyday cosplay’ style design inspired by Wicket, while the sleep mask has a cute little ewok face printed on it. The fluffy brown slip-on slippers have a snowflake design on the top, which coordinates with the holiday-season gift idea. 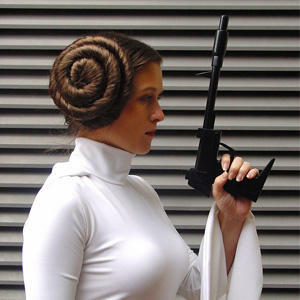 You don’t have to go all the way to Endor to get the perfect gift for them. 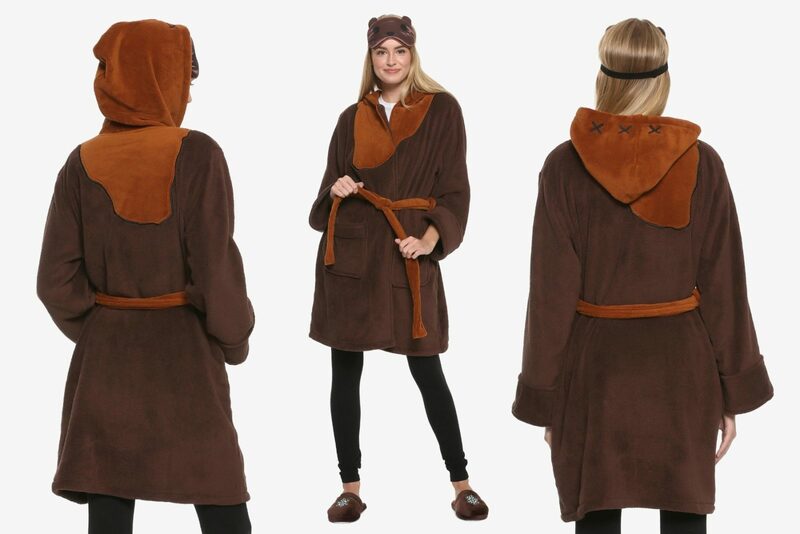 This gift set features a soft and luxurious ewok spa robe, an ewok sleep mask, and a matching slippers. This set comes in a gift ready box, so all you have to do is watch the joy on their face as they open it! Available in two sizes (S/M and L/XL), the spa robe gift set is priced at US$78.90 per set – Box Lunch can ship internationally.